It’s been a busy month at Vimba, we’ve had our heads down building requested features. 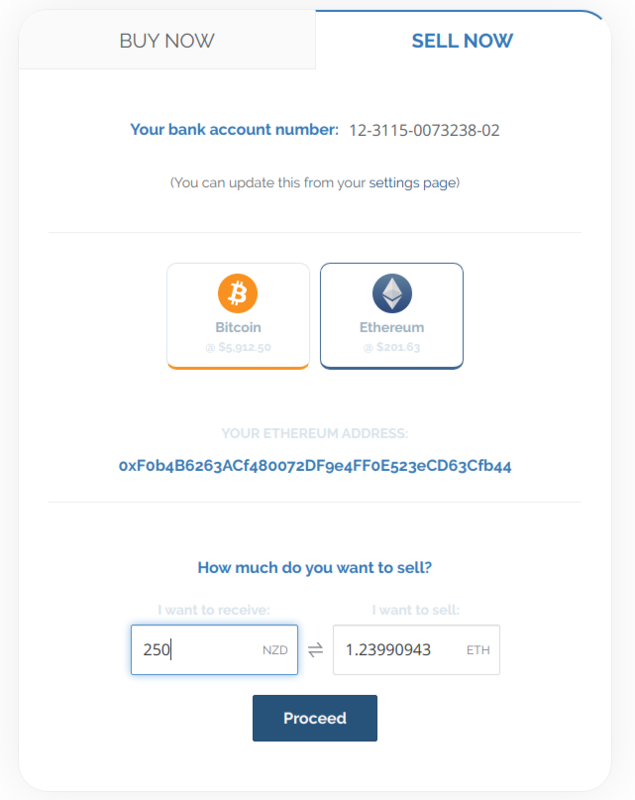 Instantly buy Bitcoin, Ether and XEM in the UK! "Gotta say, I was impressed! Very smooth & simple process and no issues with verification! 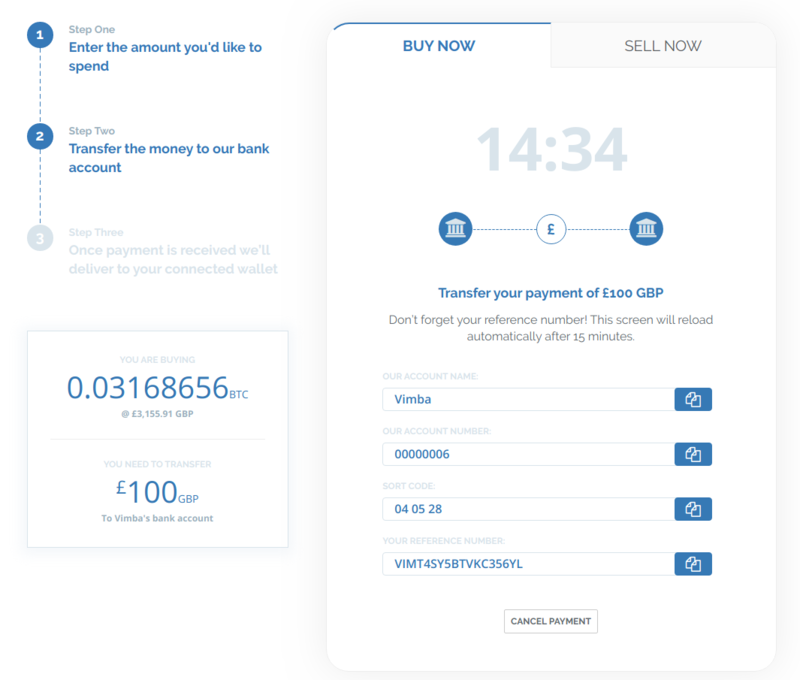 Cheers for making this great service, I’ll be recommending it to my friends who are interested in instant purchases over periodic saving"
To buy Bitcoin in the UK using Vimba, you do a simple bank transfer with a unique reference that we provide. UK banks are part of the FPS (Faster Payment Service) which provides near-instant bank transfers at zero fees. This means that you can buy Bitcoin by making a payment from your bank and the Bitcoin will be in your personal wallet within 10 minutes. The third coin that we’ve listed is XEM, the native token of the NEM blockchain. NEM is an established project that has built a modern Proof of Importance (POI) blockchain, that's considered the sleeping giant of the Blockchain space. The technology and team are of the highest quality. Here's a detailed blog post explaining more. 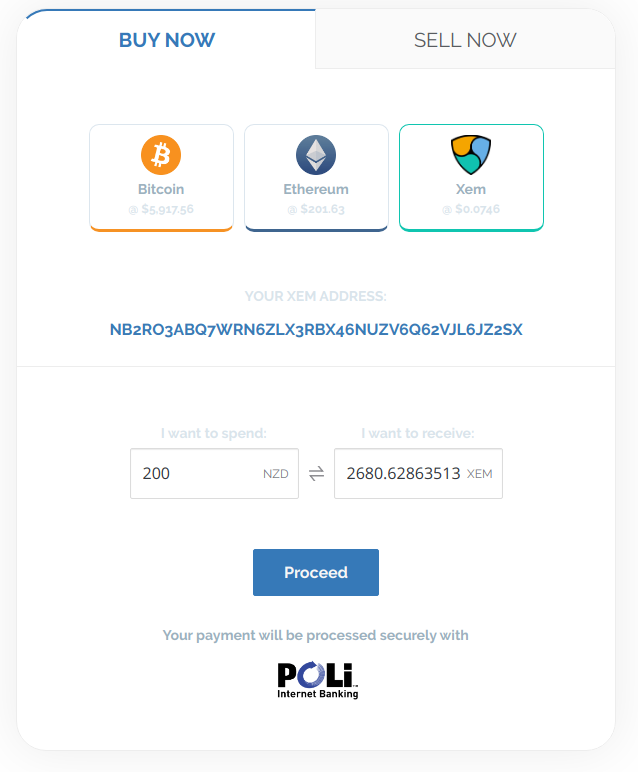 Here are instructions on how to set up a NEM wallet, give it a go! If you’re used to transacting over a PoW network, PoS is a radically faster experience. You can now deposit anytime from Monday to Thursday and your transaction will be included in the Friday savings delivery. You can also make multiple deposits and they will be combined into a single delivery and automatically split between Bitcoin and Ethereum if you have set the savings slider. This works in exactly the same way as the Bitcoin instant sell. Just tell us how much you would like to sell and we provide an address to deposit to, within 2 hours the NZD will be in your bank account - it's that easy.